We at RPM Discs are on a mission to enhance Kiwis lives by getting them back out into nature where they belong. 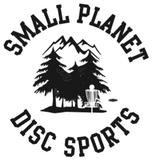 Disc Golf is one of the fastest growing sports in the world and has been in New Zealand for over 30 years. In this time permanent courses have slowly made their way into our regional parks and gardens. Currently there are over 25 permanent courses throughout NZ and in the 2015 at least 5 new courses went in. As well as being a fantastic way to get exercise and have fun Disc Golf is played professionally and competitively even in NZ. The NZ Disc Golf National Tour started in 2001 and there been well over 200 people who have played on the tour.